Bed sheets provide a protective layer against bacteria and dirt between a mattress and the person sleeping on it, as well as a covering and comfortable layer for the sleeper. A typical set of bed sheets includes a fitted sheet that stretches tightly over a mattress, typically secured with the use of elastic in the edging. The fitted portion reaches over the top mattress, but not extending to the box springs if applicable, and covers the sides of the mattress for extra protection against grime. A flat sheet, also known as a top sheet, is named so as it is flat without the elastic of a fitted sheet. The flat sheet covers a person who is in a bed, providing a layer of comfort and warmth between the person and their blankets. Typically a flat sheet is tucked into the base end of the mattress, so to prevent it from pulling up out of place when a person is sleeping. Sheets come in a variety of fabrics, prints, colors and styles. By looking at the available options on the market, a shopper can be better informed when purchasing a set of bed sheets. Bed sheets range in fabric types from lightweight to heavyweight, which is used dependent on the temperatures and weather of the person sleeping in the bed. For example, a heavyweight sheet, such as flannel, will be used in cold climates, while a lightweight sheet, such as linen, will be preferred in tropical climates. The types of fabric woven for bed sheets include flannel cotton, linen, bamboo textile, satin weave, rayon, percale, polyproplyne spunbond, polyester and cotton/polyester blends. Microfiber synthetics are becoming more popular, while raw silk and pure satin are the more expensive types of sheets. Sheets made from waterproof materials including plastic are typically reserved for infants and the elderly who are not capable of going to the toilet during the night. Additionally, these waterproof sheets are used for patients in hospitals as a way to protect the mattress from being soiled. While waterproof bedding sounds uncomfortable and difficult to sleep on, typically these sheets are layered with a lightweight plastic and a regular type of a breathable fabric weave, such as a layer of cotton fabric or a satin and polyester blend. This provides the protection of waterproof materials along with the comfort and cooling associated with a fabric weave. One of the most commonplace fabrics used for sheets is cotton. This fabric is particularly useful since it allows for the most breathability in comparison to other materials, such as polyester and flannel wool. Also, cotton is an all natural fiber grown from plants, which is preferred by individuals who are allergic to synthetic materials, such as polypropylene. While this material can be the most economical solution, it is also seen as a luxury brand when using Egyptian cotton that is made using a specific type of cotton called Gossypium barbadense that features an extra long staple and usually lengthy silk fibers. An Egyptian cotton sheet typically has a thread count of 800 or greater, which is at the highest end of sheets sold. Meanwhile a standard cotton sheet using regular cotton typically has a thread count of 150. There is another form of cotton, organic cotton, that is considered a more desirable product because of its ecologically friendly sourcing. Organic cotton is grown in fields without pesticides and other toxic chemicals, and it is harvested using sustainable methods. 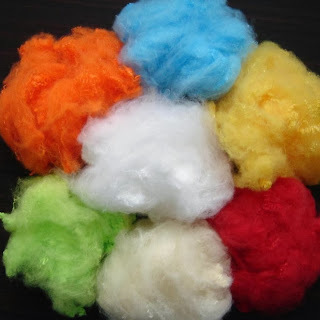 Flannel cotton is a popular fabric that is used for everything from clothing to coats to bed clothes. This fabric is a soft woven choice with variations of fineness depending on the choice of materials used to weave it. Originally, flannel was constructed using worsted yarn or carded wool. Today cotton or synthetic fibers are used more often than wool, which is the case for flannel cotton sheets. While the tartan print is commonly associated with flannel, this print is not exclusive to all flannel materials. Therefore you can find a floral or solid printed flannel cotton sheet that is made from the same weave as a tartan, also referred to as a checkerboard, print. Linen is made using the fibers of flax plants. While the process in which to weave linen fabric is highly intensive, often resulting in a higher costing sheet, this material is highly desired for weather climates that are tropical, humid or hot. This is because linen wicks away moisture providing freshness and coolness on the person sleeping on a bed covered with a linen sheet. One concern with linen sheets is that one must iron the sheets after they are washed due to the great amount of wrinkles commonplace to this material. Bamboo textile when used for bed sheets is made using a blend of bamboo fiber and cotton or hemp. Bamboo is seen as an eco-friendly bedding solution as it is made from a material source that is easily replenished. This is because it is fast to grow and it can be grown in almost every climate on the earth. Satin weave is characterized by a dull backing on a glossy facing created from warp faced weaving. 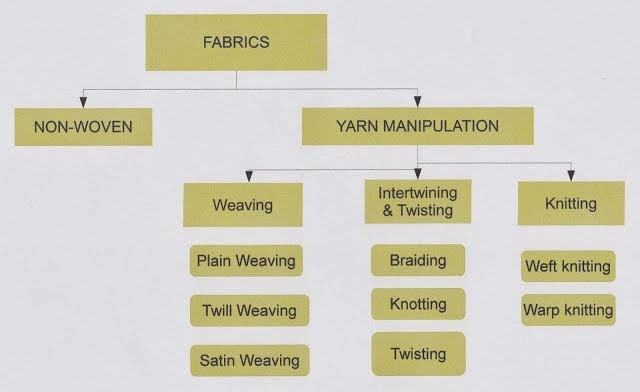 This makes a floating element of warp yarns over weft yarns, although weft faced satins also are created using this process. When a satin weave includes silk, polyester or nylon fibers, it is called a satin, whereas satin mixed with cotton is called a sateen weave. Bed sheets made from satin fabric are typically highly lustrous. As for rayon sheets, they are made from cellulose fiber taken from wood pulp that has been purified. This semi-synthetic material is also known as lyocell, modal and viscose. Of the plain weave fabrics used for sheets, they are called a variety of names including taffeta weave, linen weave or tabby weave. 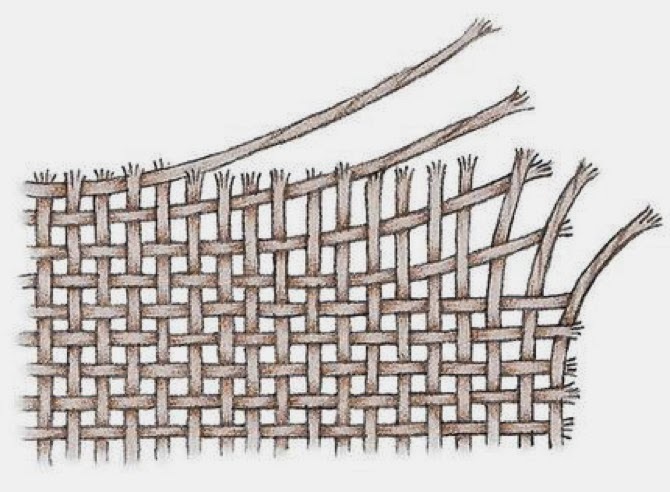 It is a common weave of basic sheets, and as it is most economical to weave, it is the most affordable. Most of the standard sheet sets, particularly those made from cotton, are plain weave. If sheets do not state a certain number of thread count, you can safely assume they have been woven using a plain weave. 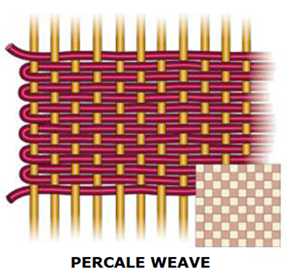 Percale is a type of plain weave fabric that is closely woven when used for bed sheets. It is a step up from a plain weave and therefore most typically found with premium materials, such as linen, sateen or a blended fabric. The term percale refers to the weave rather than the material used in a fabric. Typically a percale weave is higher quality than a standard bed sheet, therefore it is at least 200 thread count. However, a percale typically will not range higher than a 500 to 800 thread count, which is reserved for the most luxurious fabrics and weaves. As a medium weight sheet made from combed and carded yarns, percale washes easily and is durable, so it is an economical choice due to its longevity. 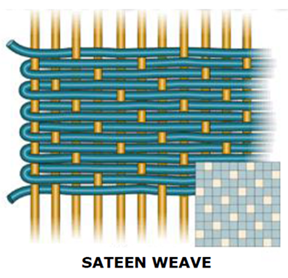 Additionally, it is a weave that can be dyed or printed independently of the weaving process. 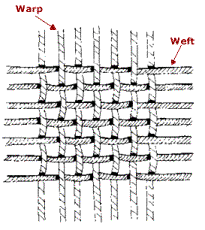 There are two other common weaves that are referred to as twill and sateen/satin weave. Each weave is made from a distinct style of weave of the material, which results in a different feeling of fabric. 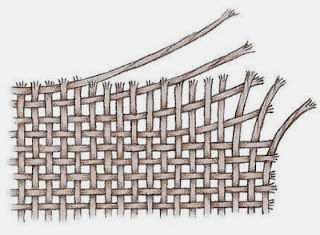 For a twill weave, the fibers are woven using a diagonal weave, while plain weave is made in a crisscross pattern that is more simplistic. 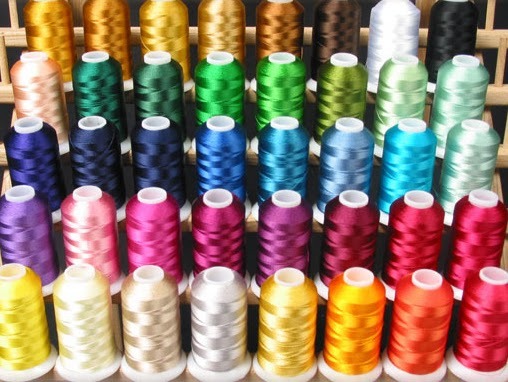 A twill or satin weave is a more luxurious choice as it consists of a high end material, such as wool or satin, that is woven using a more time consuming process. Nonwoven polypropylene, which is a thermoplastic polymer that is used in a wide variety of objects including stationary, textiles, and laboratory equipment, is becoming more commonplace for sheets used in high traffic areas. This material is chosen because it is economical and because the sheets are disposable, which is ideal for hospitals, shelters and hotels. Countries, such as Bangladesh and Pakistan, also use nonwoven polypropylene sheets for reusable purposes thanks to their low cost and durability. Blended fabrics, such as cotton blended with polyester or polyester blended with satin, are becoming more commonplace as they provide an economical solution for easier laundering thanks to the polyester and more luxurious materials, when blended with satin or silk. The most common reason for choosing a particular type of bed sheet is economical. For many bed owners, they will first note the amount of money a set of sheets will cost them both upfront and in the long term with care and handling. This causes more economical sheet shoppers to choose cotton or cotton blend sheets made using synthetic fibers and plain weave fabrics. While polypropylene spunbond sheets are more economical, in industrialized countries, such as Canada and the US, these are reserved for institutional or emergency situations, such as hospitals or prisons. If the bed owner can afford it and they feel the desire to spend more on a bed sheet, they will opt for a percale weave and materials that are more luxurious, such as satin blend, sateen, organic cotton or flannel cotton. For a bed owner who wants the best of the best, which will result in a feeling of lightweight, cool to the touch, silky smooth fabric, they will go for Egyptian cotton, linen, raw silk or pure satin or twill weaves. A benefit of choosing lower costing sheets is that these are the easiest to maintain. For example, cotton sheets can be washed and dried in a home washing machine using regular detergent, whereas pure satin or raw silk must be dry cleaned using a specialized process that costs a great deal more. However, for the added cost and maintenance, those who sleep in high end sheets will attest to the increased level of comfort they provide. Quality in a fabric weave is determined by the thread count. When someone is purchasing a set of bed sheets, they will notice the numbers ranging from 150 to 1000. The thread count refers to the threads per inch, and therefore a greater number equals a smoother feeling fabric. 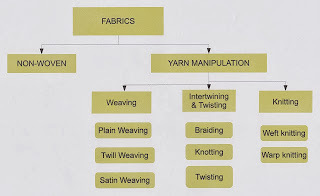 For determining a thread count, the threads including the warp and weft threads are included in the number. Basic standard sheets usually made from cotton are at the lower end of the thread count scale at a 150 thread count. What are considered good quality bed sheets start at a 180 thread count. Any sheet with a thread count of 200 or greater are high quality and typically a percale weave. When thread counts measure at 500 or higher these are thought of as luxury sheets. What Are The Dimensions of Twin XL Beds? 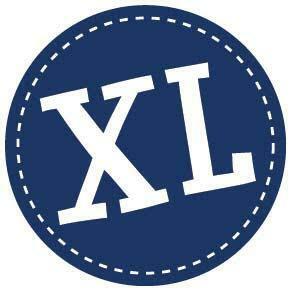 Many soon to be college students are looking to find out where and who sells twin xl bedding, many find out about Twin XL the online web-store to buy their bedding. Bed sheets for a dorm room mattress are twin XL, sometimes called a twin extra long, which is 39 by 80 inches. Which are longer than a twin regular mattress but the same width. Hospital beds sometimes carry different variations of the twin XL size, and could be a little narrower or a little longer. Buying twin XL sheets for a hospital bed that is the same length but a little narrower won't be much of an issue as the elastic band of the fitted sheet should be able to make up the difference. The top flat sheet will just have a little more hang off on the sides. If the hospital bed is longer than 80 inches but has the twin width, a deep pocket twin XL fitted sheet may be able to help accommodate a little more.